One book gives you a solid understanding of how derivatives are used to manage the risks of financial decisions. 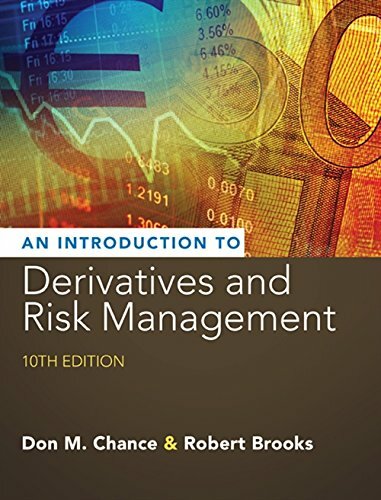 Extremely reader friendly, market-leading INTRODUCTION TO DERIVATIVES AND RISK MANAGEMENT (WITH STOCK-TRAK COUPON), 10e is packed with real-world examples while keeping technical mathematics to a minimum. With a blend of institutional material, theory, and practical applications, the book delivers detailed coverage of options, futures, forwards, swaps, and risk management as well as a balanced introduction to pricing, trading, and strategy. The financial information throughout reflects the most recent changes in the derivatives market--one of the most volatile sectors in the financial world. New "Taking Risk in Life" features illustrate the application of risk management in real-world financial decisions. In addition, Stock-Trak software is available with each new text, giving you hands-on practice managing a hypothetical portfolio.